Considering how hot it has been, it’s been hard to bring myself to cook. But we’ve been making simple meals that don’t require standing over the stove too much. 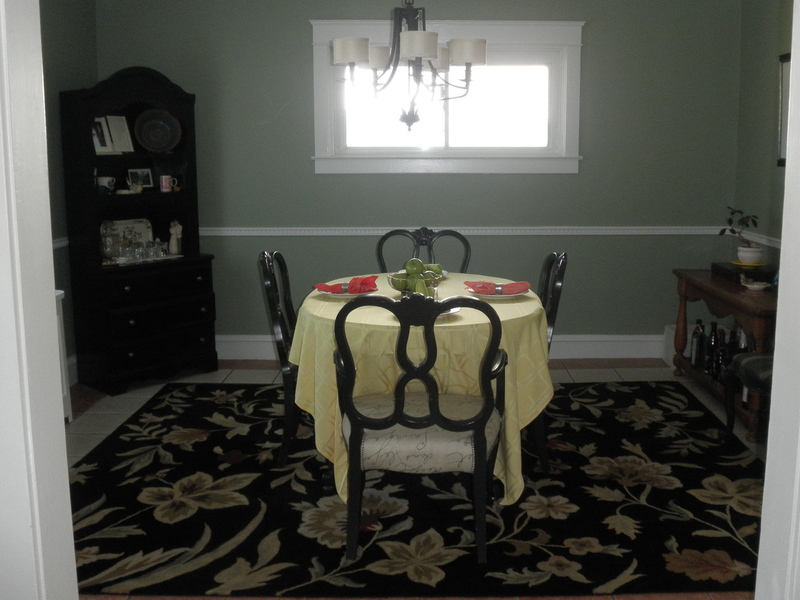 Regardless of what we’ve been making, though, we’ve certainly been enjoying eating in our newly redone dining room. My family and friends have been bugging me for an update on how it all went, and the stubborn blogger in me was waiting to get the “perfect pictures” of the room when the light is just right and you can truly appreciate how gorgeous it turned out. Well, I’m not waiting for that perfect shot anymore. I want to show you all how it looks! When we first looked at the house, we knew we had a challenge on our hands but I was thrilled that the dining room was so big. The only problem was the floor. And the wallpaper. And the light fixture. 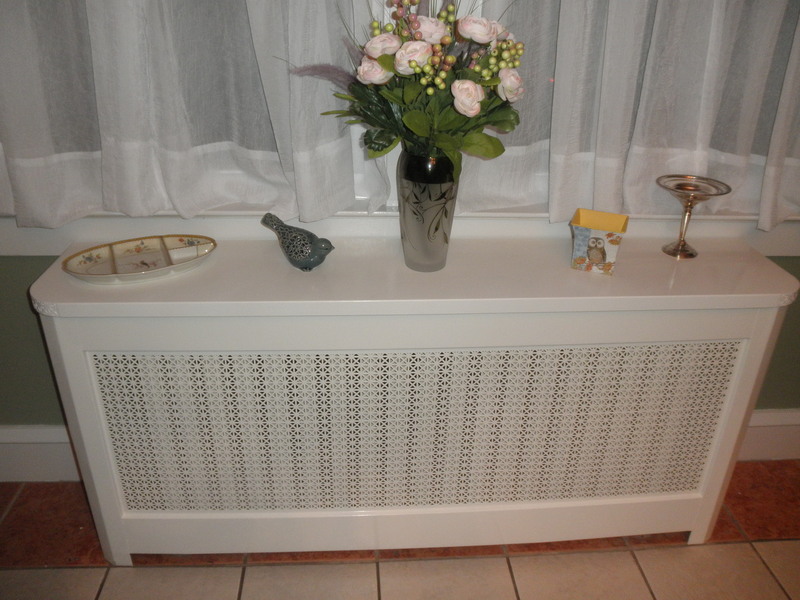 And the radiator cover. So okay everything other than the size was a problem. 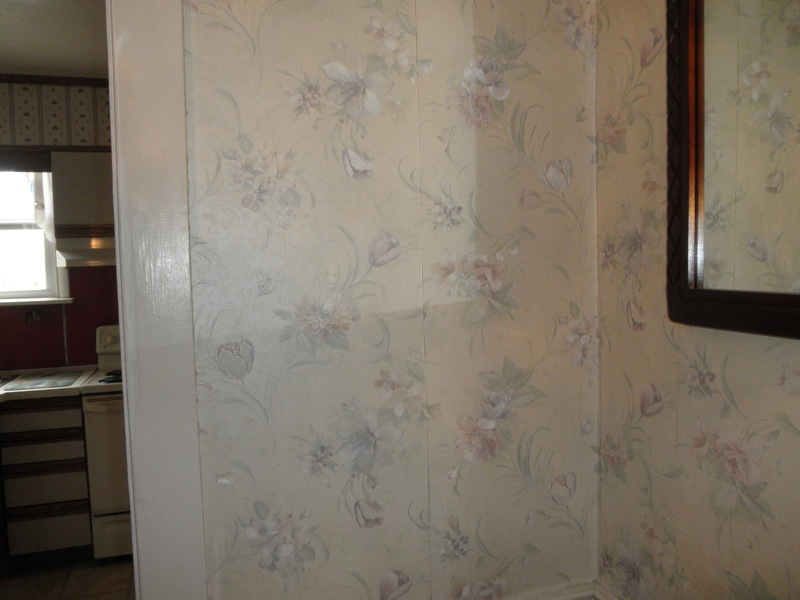 But particularly the wallpaper. 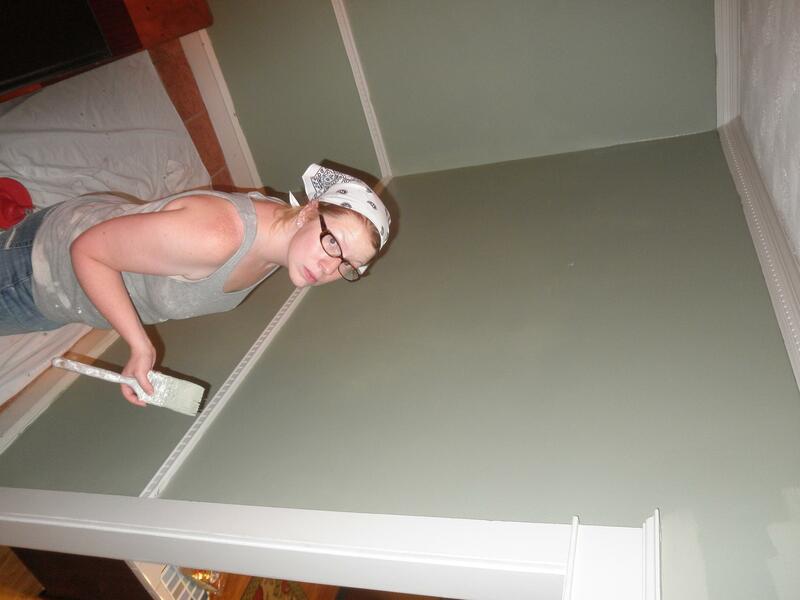 A few days after we moved in, a couple friends were helping us unpack and somehow we ended up stripping the wallpaper and scrubbing the walls with TSP. The light fixture didn’t bother us too much until we realized what it did when you turned it on. 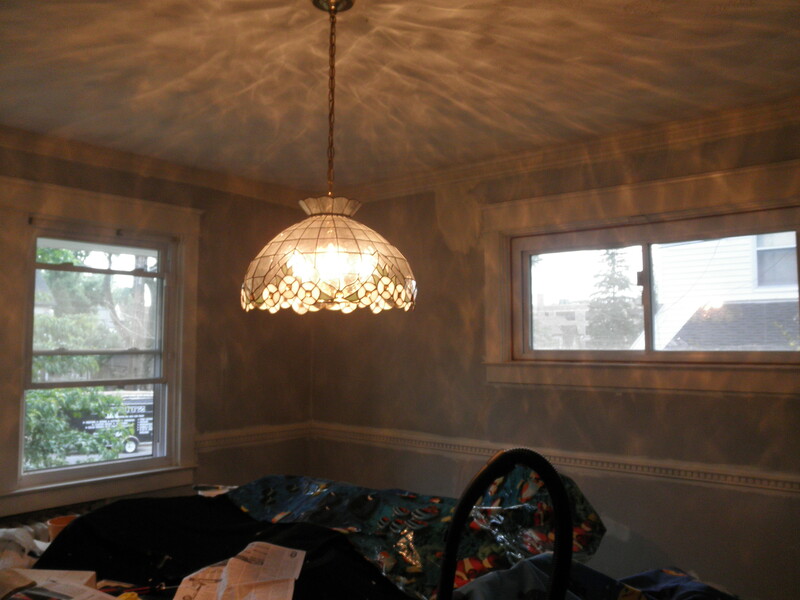 Textured ceiling + beveled glass fixture = AWESOME light patterns cast on the room. OR HIDEOUS. I would have been content to leave the room as is except for one small problem. On one of the walls, the previous owners had let their kids scrawl their names, phone numbers, and some well wishes (“have a nice f*($#n day”), and we could not get it to scrub off. So, with a house warming bbq a few days away, we hastily picked a paint color and got to work. TADA! 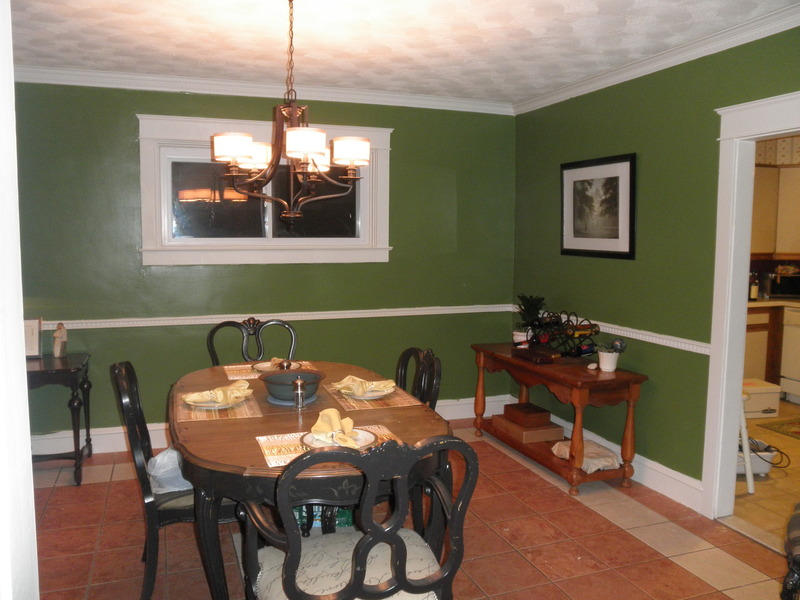 We used Behr’s Happy Camper Green (which comes out really true to their website pics) and absolutely LOVED the paint color. 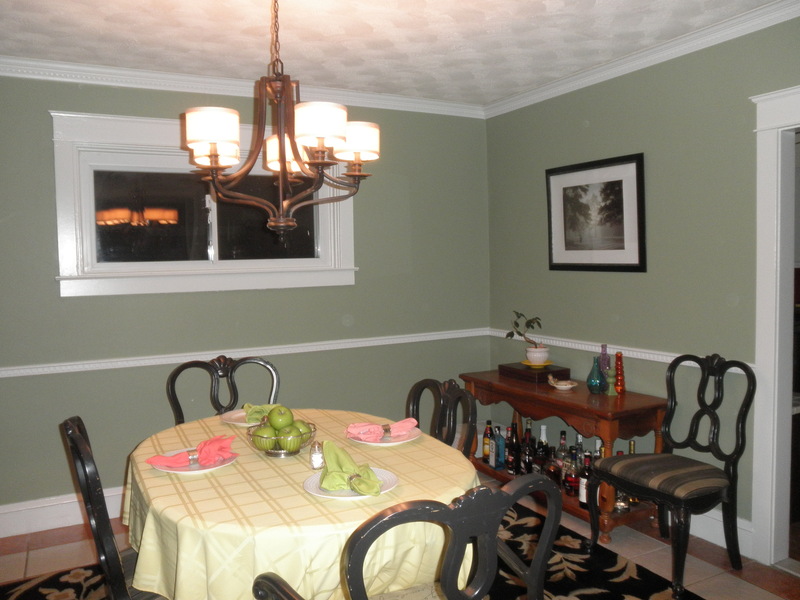 Then we were able to find a new light fixture at Home Depot for $179 and it really changed the look of the room. 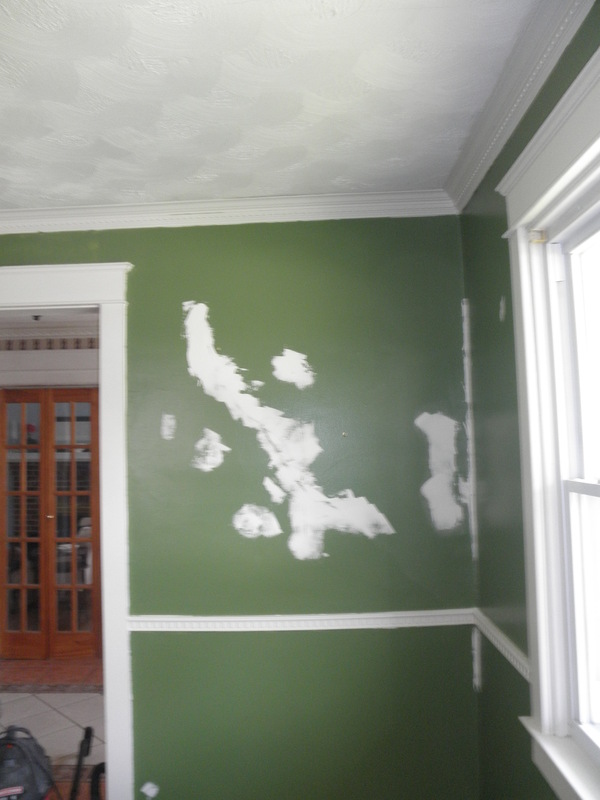 The only problem was that once we redid the living room, we realized the green did NOT go with the rest of the first floor which were mostly gray undertone colors. But for almost two years we lived with it. Gradually we added furniture in the room. 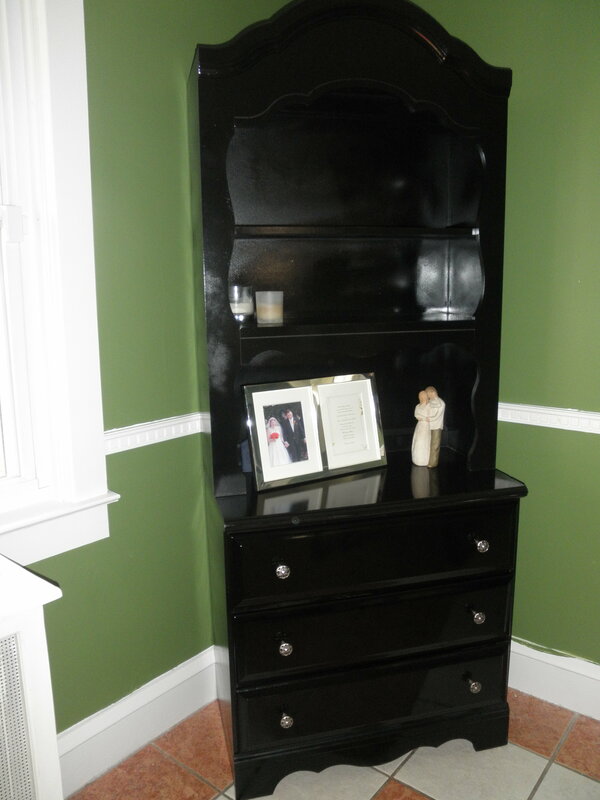 And by new furniture I mean a child size chifferobe and chest with shelving that I rehabbed. Both the chifferobe and the dresser were made of pressed wood, but some heavy cleaning, light sanding, and half a dozen spray paint cans later, we had two very nice pieces. 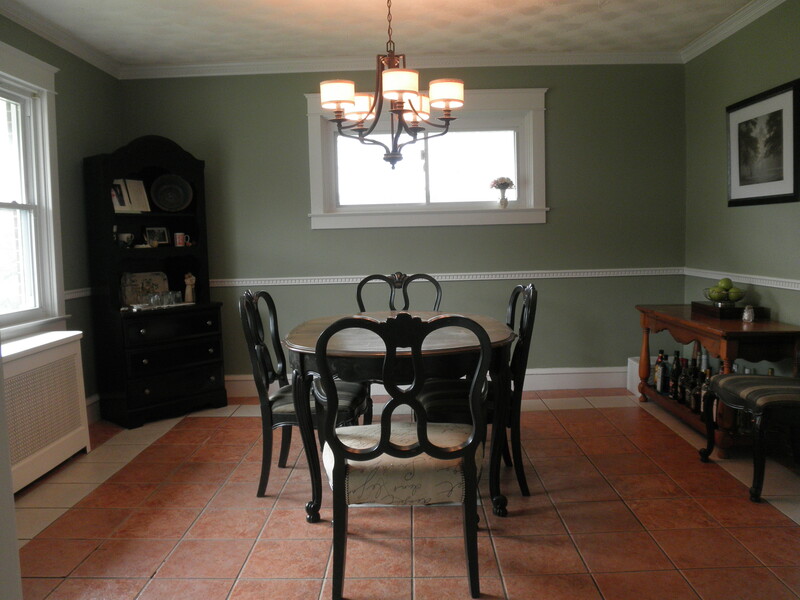 This summer, with a week and change worth of vacation, I decided I was redoing and finally finishing off the dining room. 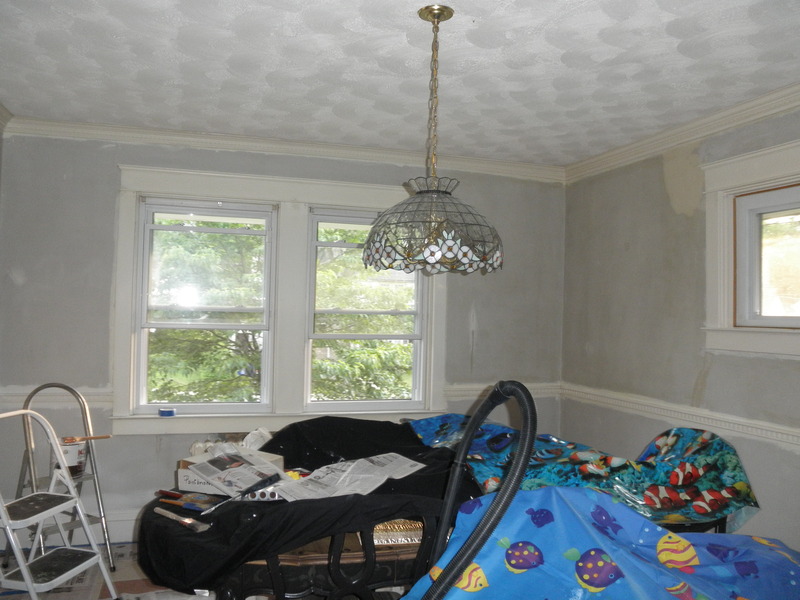 First, I had a LOT of spackling to do, which we had neglected the first time around. The painting was easy. 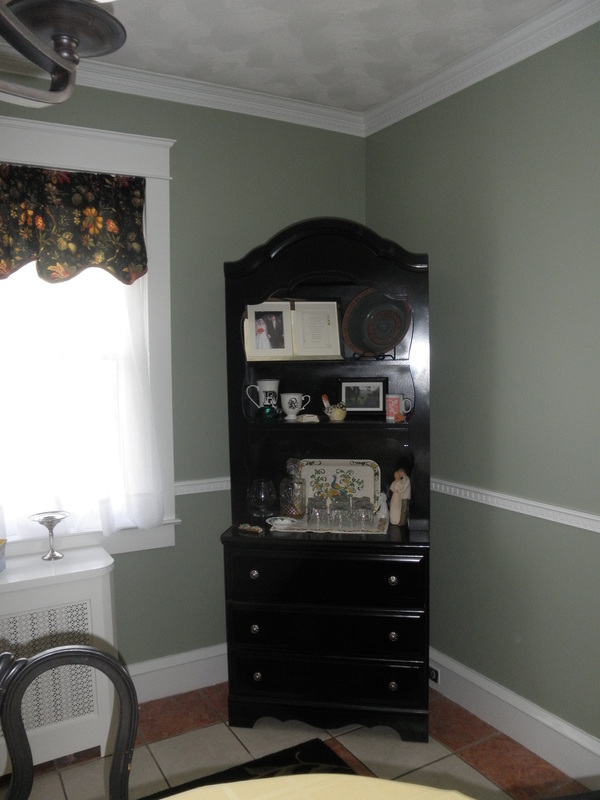 This time around we used Behr’s color Mountain Sage. I have to admit, though, that I had a gift card to Lowe’s so I decided to get the paint from there. With my color sample in hand, I got Valspar’s Ultra Interior Flat Enamel which is paint and primer in one, PLUS low VOC. I was able to do two coats in the same day, a few hours apart, even though it was at least 80 degrees out and humid. I was ridiculously pleased with how thick the paint was, and as quickly and sloppily as I was working, it did not spatter at all. At $25 a gallon it was a bit more than some of the paint I’ve used, but WELL worth it in the long run. The only part of the room that was a pain was the wood work. 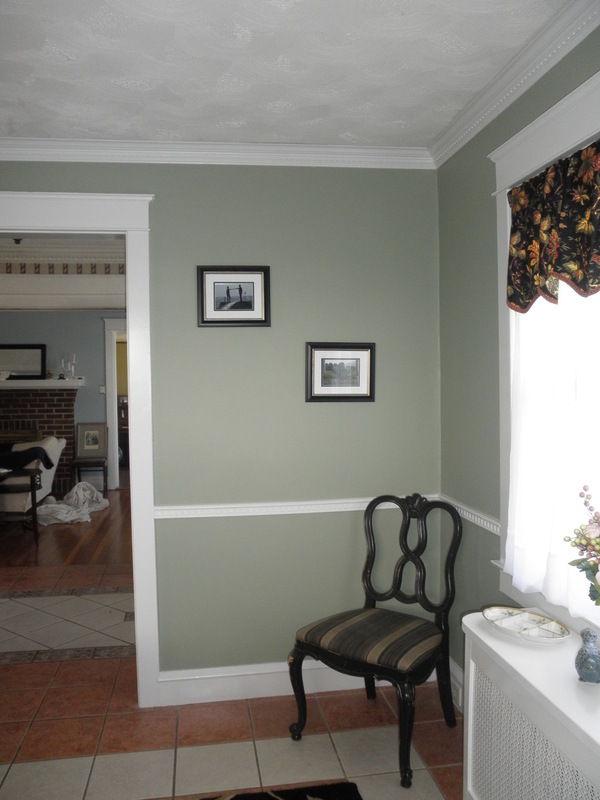 We have gorgeous dentil moulding around the ceiling and as our chair rail. The only problem? 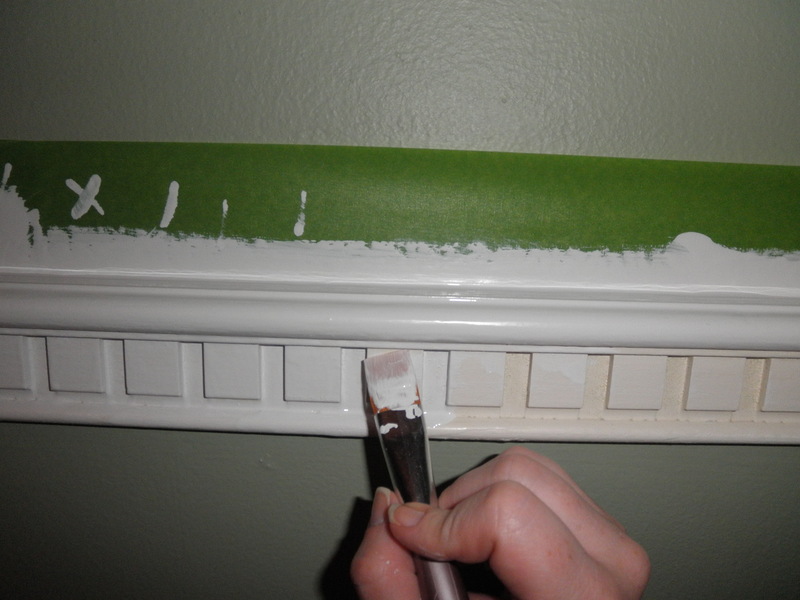 Dentil moulding was created as PUNISHMENT for people who have to paint it. Now you all know that I’m psychotic and paint my woodwork in oil. What I learned the first time around doing the room was that you cannot paint the chair rail with a normal brush because it splatters and drips like crazy and you can’t get into the crevices. So this time? Yes, that is a paint brush that you would usually use for oil paint on canvas. The chair rail took me at least two hours. See the X and hashes on the tape above? That’s how I kept my sanity and made sure I didn’t lose track of what dentil I was on. I COUNTED THEM. We have 382. When all the tape was removed, it was time to dress the room. This definitely happened in stages. First I put everything back in and desperately wished there was a way to hide the hideous tile floor. So I turned to CraigsList. $70 later…. BRILLIANT!!!!!!!!!!!!! I found a rug JUST large enough to cover the center of the room. It fits almost perfectly inside the white border tiles. I cannot tell you how happy this makes me. Even though it darkens the room a little bit, it has also worked to dampen the horrible echo we always had. And now some glamour shots for your viewing pleasure! The metal radiator cover was scored about 6 months ago for $40. Add two cans of spray paint and you have a gorgeous piece. It is dressed with a Limoges Bird of Paradise condiment dish, a bird and container from Michaels, a Lenox vase we received for our wedding, and a silver candy dish (devoid of its usual supply of M&Ms). 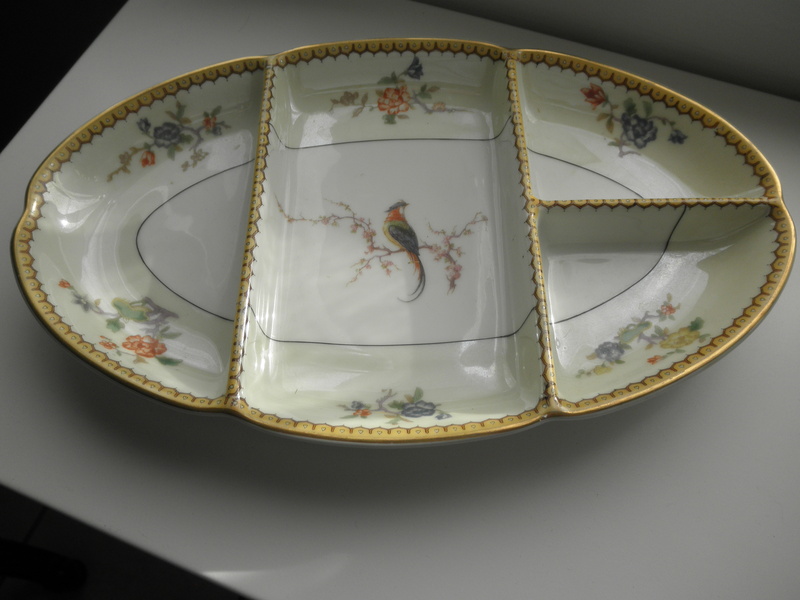 The Limoges dish (also known as the Eden pattern) was scored for $15 at an estate sale and matches china that I have. 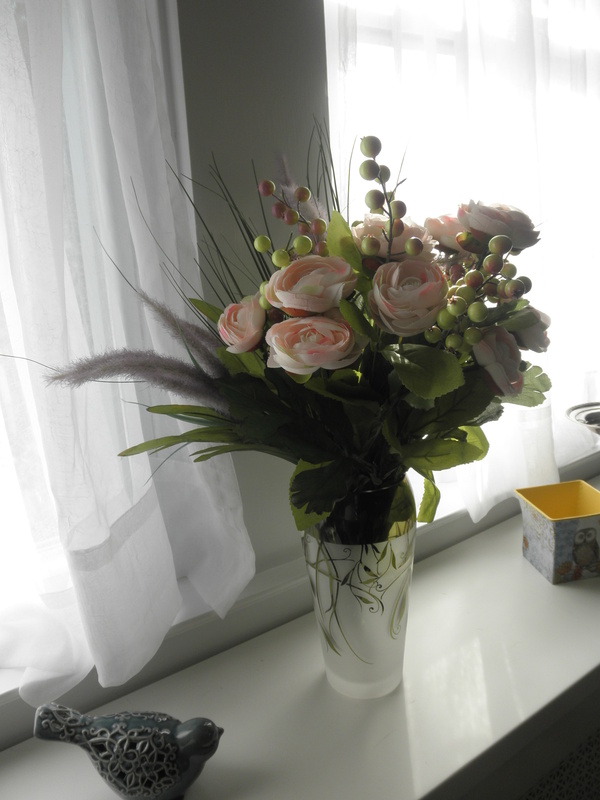 And yes, the flowers are fake which I have people ask me all the time. Our “hutch” is dressed with a handmade bowl we received for our wedding that is personalized, some R mugs, a bird I bought during a trip we took for our first anniversary, a whiskey set from friends, our cake topper, and a few other sentimental items. While the display is nice, the drawers were a huge plus in the room as they house most of our linens. 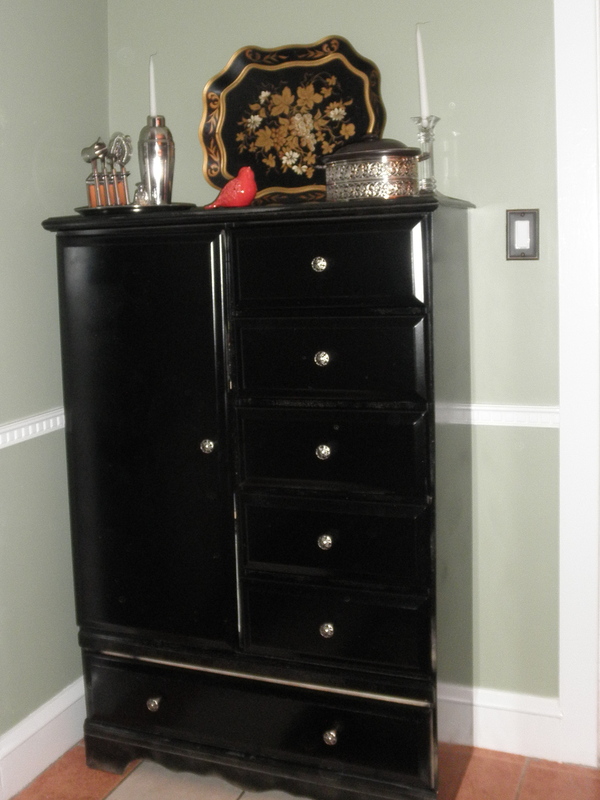 The refinished chifferobe houses more linens and entertaining pieces like wine glasses and serving trays. 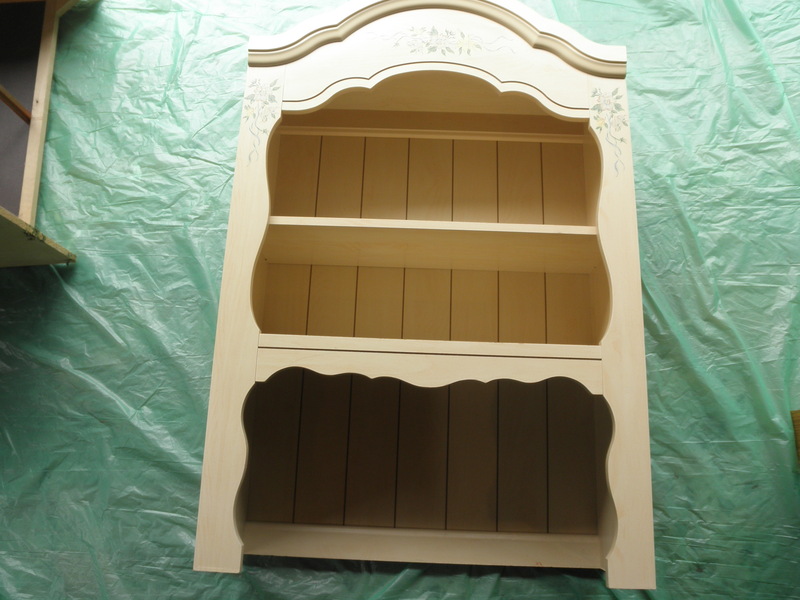 The paint crackled when it was drying (as I refinished it last fall which was a mistake because of the cool, humid nights) so some time this summer it will go out piece by piece to get a finish coat. 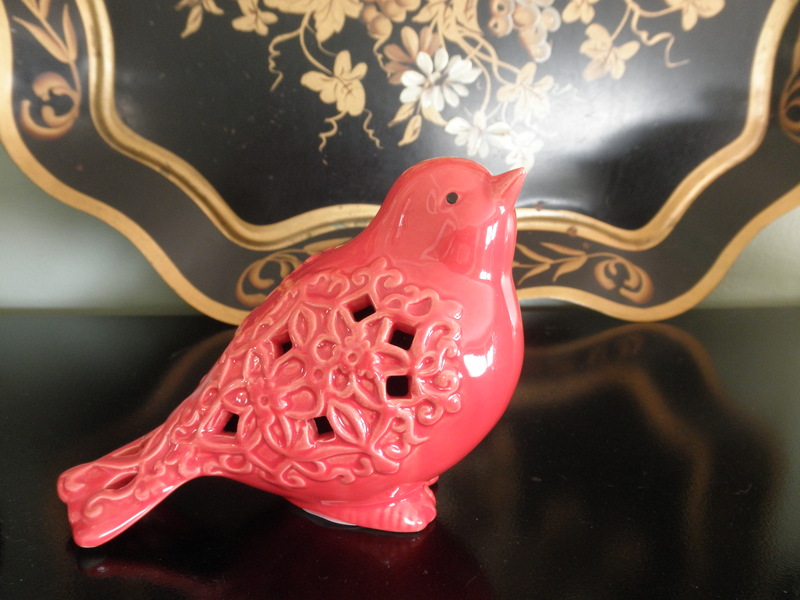 The red bird is also from Michaels. Can you sense a theme here? The wall that was so horribly uneven is now smoothed out and has photos I took in Ireland. I think one of the things that excited me the most about finishing the room was the harmony when you look from the dining room into the living room and see how the colors go together. (Please ignore the drop cloth on the floor in the living room!) The fact that the rug goes with the valances my mom had treated me to when I had found the living room ones. 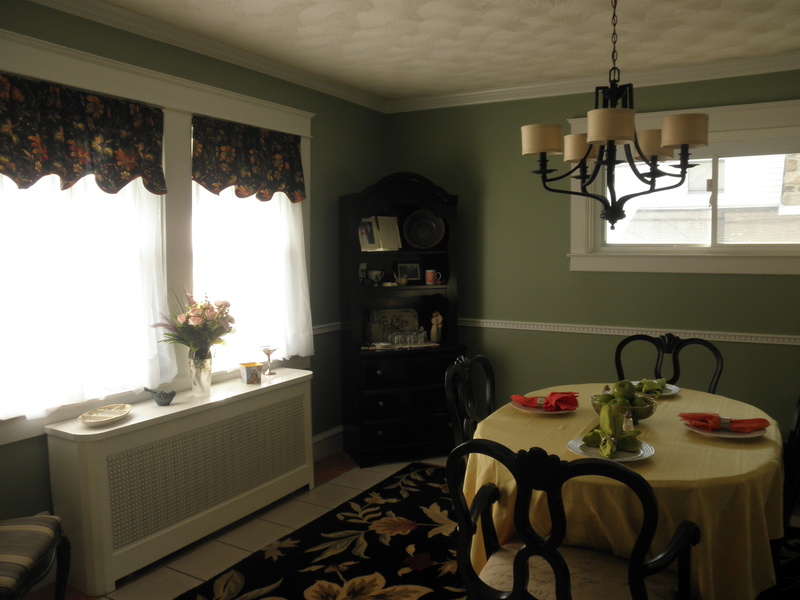 They were purchased from Swags Galore and I would never buy valances without looking there first. Their prices are AMAZING. Overall I’m just thrilled. The first few days, as I stumbled into the kitchen to get my coffee, I was overwhelmed by the difference that paint color can make. 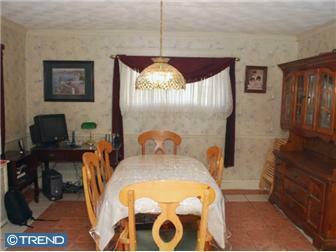 Before, when you walked into our dining room it said HI! I’M GREEN! and now it says Please come sit down and enjoy a savory meal. I hope you enjoyed seeing the dining room as much as I enjoy it. Every night as the gloaming approaches, I walk into my dining room and think this is why I do this. This was worth the wait. This is something good and safe and beautiful.